Ever wonder why marathon runners go back and do more marathons? One reason may be that they forget the pain marathons cause. A study published in Memory has found that, a few months after the event, marathon runners downgrade the pain of their marathons. Researchers asked sixty-two runners (who had taken part in the 11th Cracovia Marathon in Cracow, Poland, in 2012) a bunch of questions about their pain, and they did so immediately after the runners crossed the finish line. Questions had to do with intensity of pain, the pain’s unpleasantness, and any positive and negative emotions the runners were feeling. Researchers then contacted the runners again, three to six months later, and asked the same questions. The most important finding is that the runners downgraded the intensity of their pain. 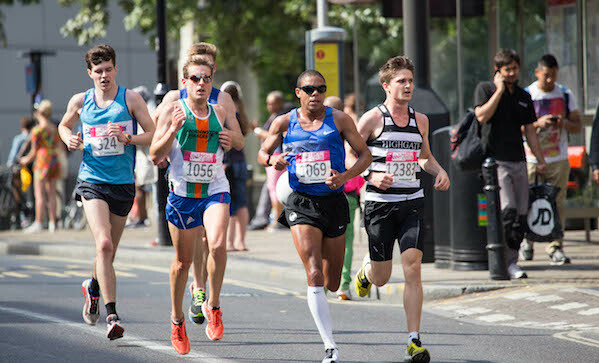 Immediately after the race, runners rated their pain five and a half on a seven-point scale. Asked a few months later, they downgraded their pain to just over three. Of course, if you’re a marathon runner, this isn’t bad news. The next time you’re finished a race and thinking of sawing off your own feet, just think: you’ll forget all about your excruciating, self-inflicted pain in a few months!